The 17th Infantry Regiment is a United States Army infantry regiment. An earlier regiment designated the 17th Infantry Regiment was organized on 11 January 1812, but it was consolidated with four other regiments as the 3rd Infantry in the post-war reorganization of the army following the War of 1812, due to the shattering losses it sustained at the River Raisin. The current 17th Infantry was constituted as the 17th Regiment of Infantry on 3 May 1861. The 17th Infantry Regiment served in the Army of the Potomac, in Sykes' Division of the 5th Army Corps. Its badge was a white cross patee. During the Fredericksburg, the 17th Infantry suffered heavy losses in the assault on Robert E. Lee's Confederates entrenched behind a stone wall. "For one entire day, (December 14) the men of the 17th lay flat on their faces eighty yards in front of the famous stone wall, behind which the enemy was posted in large numbers and any movement on their part was sure to draw the fire of rebel sharpshooters." A buffalo, displayed on the a shield below the stone wall, represents the regiment's history in the Korean war. The "Buffalo" nickname was adopted at the suggestion of the 17th Regiment's commander in the Korea, Col. William W. "Buffalo Bill" Quinn. The shield is blue, as it is the color of the infantry. The crest is a sea lion taken from the Spanish Arms of Manila to represent the fighting for that city in 1898. The two arrows represent the Indian campaigns the 17th Regiment participated in. 1986 - 1st and 2nd Battalions re-activated at Fort Richardson, AK as part of the 1st Brigade, 6th Infantry Division (Light). A Company, 1-17 IN, received the Presidential Unit Citation (Navy) for actions in support of Operation Helmand Spider in Marjah during Operation Enduring Freedom 09-11. Second Lieutenant Leighton W. Hazelhurst, was the second US military pilot to be killed in an airplane crash 11 June 1912. Philip Egner, bandmaster of the regiment during the Spanish–American War, later composed the West Point fight song, "On, Brave Old Army Team". Wikimedia Commons has media related to 17th Infantry Regiment (United States). ^ "James Durrell Greene". Find A Grave. Retrieved 28 January 2019. ^ Blair, Clay (1997). The Forgotten War:. Times Books. p. 616. ISBN 0812916700. ^ a b "17th Infantry Regimental History - HONORS AND LINEAGE". 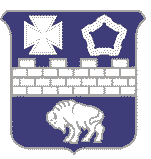 17th Infantry Regiment Association. Retrieved 6 June 2015. ^ a b c d e f g h "17th Infantry Regiment". U.S. Army Center of Military History. 13 June 2014. Retrieved 13 July 2012. THE SEVENTEENTH REGIMENT OF INFANTRY. By Captain C. St. J. CHUBB, 17th U. S. Infantry from THE ARMY OF THE UNITED STATES HISTORICAL SKETCHES OF STAFF AND LINE WITH PORTRAITS OF GENERALS-IN-CHIEF, Edited by Theo(philus) F(rancis) Rodenbough Brevet Brigadier General U.S.A. and William L. Haskin, Major, First Artillery, Maynard, Merrill & Co., New York, 1896. This page was last edited on 22 March 2019, at 19:34 (UTC).